I have been shopping through the Box Tops Marketplace for almost 3 years. I started when my son began preschool when I learned that my online purchases from participating retailers could financially benefit his school without my spending an extra penny. 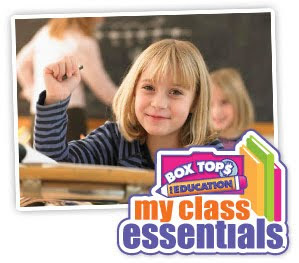 The only thing I had to do was remember to enter the retailer's website through the portal on the Box Tops website. That's all I have to do to have a predetermined percentage of my purchase be donated to my son's school. The donation percentage of my purchase made through Barnes & Noble is one of the more generous ones offered at 6%. My purchase came to $30.33 before sales tax (plus shipping was free because my Barnes & Noble purchase came to more than $25), so $1.82 was donated to my son's elementary school. That may not seem like much, but that $1.82 put together with my online purchases throughout the year along with those of other parents will add up quickly. 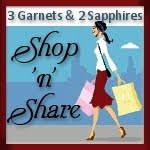 By the way, did you know that BarnesAndNoble.com carries toys and games and even bargain books? I was very surprised and pleased that I placed my order on December 22nd and received it two days later. I bought the newer version of this Leapfrog Fridge Phonics toy because the twins managed to lose three of the letters from Jake's old set. I also found this large board book for just $5.38. I'm going to save this for one of the twins' Easter baskets. While we are on the subject of Box Tops for Education, I found something very cool that is new to the site. It is something called my class essentials, where school teachers can register for specific things they need for their classrooms above and beyond the disinfecting wipes and the paper towels they normally ask parents to donate. This is more for things like reading books, workbooks, flash cards, and other learning tools. I really think all parents should make sure their children's teachers know that this registry is available. I was surprised to find that only one classroom had registered for items out of all the classes in my son's K-5 elementary school. Thank you to Box Tops for Education and to Barnes & Noble for providing me with a $25 gift card to shop in order to benefit my son's school through the Box Tops Marketplace.